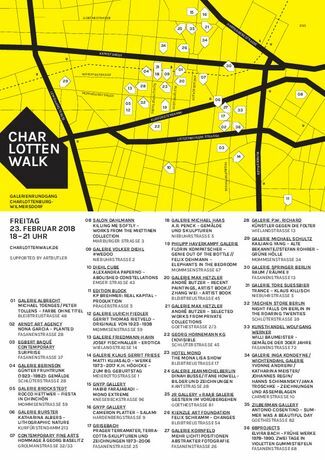 On 23rd February 2018, the gallery tour of Charlottenburg – Wilmersdorf will take place for the 4th time, welcoming all art lovers to over 30 galleries. 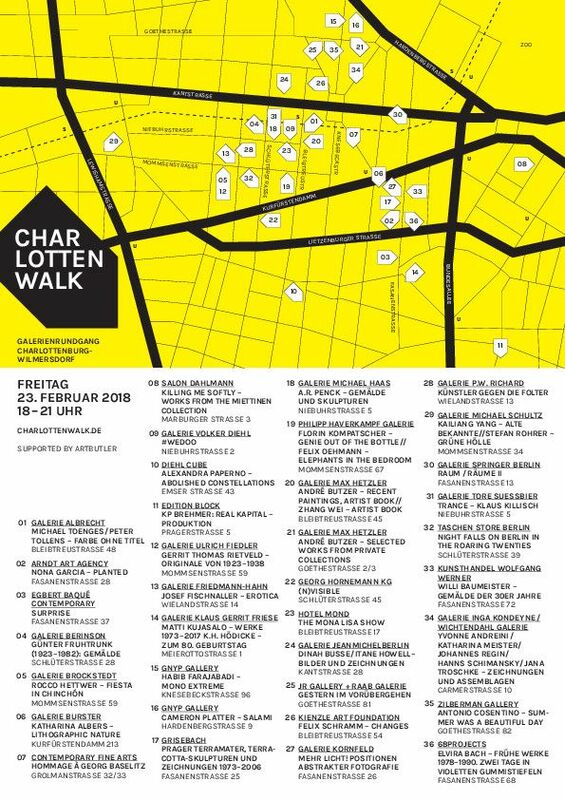 Take part in the Charlottenwalk – with extended opening hours till 9 pm – to visit exhibition openings and running exhibitions in your neighbourhood. 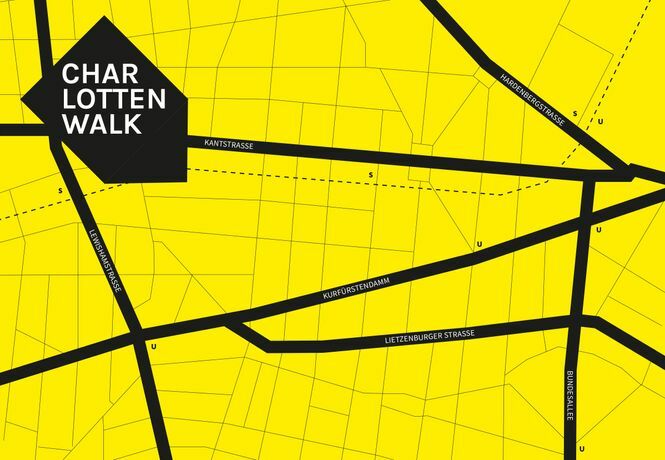 This year’s Charlottenwalk is organised for the first time by ARTBUTLER. For fifteen years ARTBUTLER has been facilitating the work of galleries, artists, and collectors all over the globe. By hosting the Charlottenwalk, ARTBUTLER further expands its support and promotion of Berlin’s gallery scene.